…wait. Since my review of The Stalker was met with downright hostility by some people (but not the designers, I should add! ), let me make some things clear: I have excessive experience with To9S. And while I loved the basic concepts, its flaws became abundantly clear in game. One caveat DM’s ought to have in mind when using PoW is that the classes herein are INTENDED as a power boost. Multiple d6-bonus damage, attack negation etc. is beyond the capabilities of regular martial characters and since their abilities can universally be refreshed infinite times, these tricks can be pulled off more often than the spells of a caster, thus making a DM’s war of attrition as a tool much less effective. So no, we’re not looking at regular PFRPG-balancing here. In short: DMs should be aware that PoW increases the power-level of the party. Path of War has established, as a spiritual successor, a superior take on the concept of To9S, one that works much more streamlined. Why do I consider it superior? Take the refreshing of maneuvers: By allowing for actions, i.e. concisely defined time-frames, as a means to refresh maneuvers, the classes are more in line with the in-world logic. I consider per-encounter refreshing of abilities, pardon my language, stupid, since it makes no sense in-game – an encounter can span any duration from 1 round to, hypothetically, hours and is a metagame concept that makes in-game no sense. Or rather: MADE. Path of War is SMART – we actually now GET a concise in-game definition of per-encounter abilities, one THAT MAKES SENSE in-game!!! Yes, you can now put away your axes. This takes care of an unpleasant relic from the 3.X days and streamlines the whole system. Excellent. I already explained the basic system, just in case you’re not familiar with it – essentially, Path of War wants to bring martial characters more in line with the casters, allowing them to use martial maneuvers, essentially supernatural martial abilities that they can use to destroy their opposition. These maneuvers have different sub-categories: Boosts tend to buff/debuff as instant effects, stances are maintained and offer bonuses as long as they’re active and strikes are special attacks. Finally, there are counters, which you can usually use as a reaction to attacks etc. – many of these utilize immediate or swift actions, which means as a player, you ought to be rather familiar with these types of actions to properly plan your action economy. Another caveat before I FINALLY start the review – the goal of Path of War is a power-upgrade for martial characters. As such, I will not reference other martial classes in direct comparison – PoW-classes, by design, are supposed to be superior, something DMs ought to bear in mind. That means, my balancing complaints, should any come up, do not refer to the power-level assumed by CORE-martial characters, but rather to potential issues within the frame of PoW. I, of course, will otherwise be the obnoxious complainer about any issues that I see. Got that? Awesome! So let’s take a look at the Warlord! The warlord gets d10, 4+Int skills per level, good fort-saves, full BAB-progression, proficiency with light and medium armor, bucklers and simple/martial weapons. They start with 1 stance, 6 maneuvers known, 4 maximum maneuvers readied and expand these to 18 maneuvers known, 11 readied and 6 stances at 20th level. Now I’ve already touched upon regaining maneuvers and the warlord may regain an expended maneuvers as a standard action… or the warlord may use a so-called warlord’s gambit. Each gambit can be initiated as a swift action and consists of 3 components, a risk, a rake and a reward. The gambit describes a risk, an action the warlord must undertake. If the action is successful, the reward of the gambit kicks in, thus rewarding combat behavior that is not the “I attack routine” – cool. When succeeding the gambit, the warlord regains cha-mod, min 2 maneuvers. If he fails, he only regains one maneuver. If a maneuver helps a warlord accomplish a given task, it should be noted that it can used to succeed in the gambit by initiating it. However, a gambit cannot be used to refresh a maneuver that is expended as part of the gambit, thus preventing the looping of maneuvers. Warlords start the game with 2 gambits chosen from a list of 15 and gain another one at 4th level and every 4 levels after that. Now if a warlord fails at a gambit, s/he incurs a penalty of -2 to d20 rolls for one round – which seems harsh, however, one should bear in mind that ANY d20-roll required to succeed at a gambit (be it skill, CMB/attack/whatever) gets the warlord’s cha-bonus as a luck bonus, which can be quite a significant bonus – for many 1st level warlords this will probably mean at least +3, more realistically +4 or even +5 – which is more than an improved xyz-feat would grant. Generally, I think this somewhat undermines the point behind gambits – refreshing maneuvers, especially at low levels, should not entail such significant bonuses: To compare: A paladin’s smite evil would apply in a similar manner to the attack and is limited in daily use. And yes, I am aware that the smite’s bonus damage is the primary benefit of the ability, but still. Gambits do have some limits, though -they can only be used once per encounter. Some gambits also provide benefits to allies within 60 feet – for example, when using dastardly gambit, a warlord tries to use dirty trick. If s/he succeeds, s/he and all allies get the warlord’s cha-mod to a single attack against the target in the next round. Other gambits allow you to follow up on successful combat maneuvers initiated via gambits to follow up with an AoO against the target, usually with +cha-mod bonus damage. Granted, the gambits do not offer AoO-free combat maneuvers, but also, their risk is often rather minor – Pinhole Gambit requires the warlord to make a ranged attack into melee, with one feat rather easy and with a decent cha-mod, it even makes precise shot not necessarily required. Additionally, the foe takes a penalty equal to the warlord’s cha-mod to AC for a round if the gambit succeeds. I LOVE gambits – their concept is downright friggin’ AWESOME. How do you get players to play more risky, more diverse? Offer them actual incentive to do. Tying the whole process to maneuver replenishing is a win-win – make more interesting combat decisions and be rewarded for it by getting to do more of your favorite tricks. This mechanic rewards planning and smart playing and that is always good in book. However (I can hear the “boos” as I’m typing this), I do think the system needs some fine-tuning. Why? Because there currently is simply no reason NOT to gambit. At low levels, cha-mod as a bonus is a huge thing in itself, even before the additional benefits come into play. Let’s take the pinhole gambit as an example, shall we? So, a warlord starts the gambit to shoot into melee. If the warlord doesn’t have precise shot, the cha-mod of Cha 18 would completely offset the penalty for shooting into melee, if he does have the feat, we’re looking at a +4 bonus to atk. If the attack hits, the target incurs a -4 penalty to AC. Furthermore, our warlord would regain 4 expended maneuvers upon hitting. This is the success criteria. The failure criteria would be to incur a -2 penalty to all d20-rolls for 1 round. Yes, this trick can only be pulled off once per encounter (thus no complaint in that regard), but it is, especially at first level, a VERY powerful trick. Still, not enough to make me yell OP…at least in the context of PoW. Another issue would be that two gambits fail the kitten-test: Brave gambit requires you to charge a foe, then nets all allies your cha-mod as bonus to their first attack. You could throw a kitten in the field, initiate a gambit against said kitten dies horribly, which emboldens your allies. Weird that here, among all gambits, the tie of the bonus to the target of the gambit has been forgotten. Second failed kitten-test: Deadeye Gambit. Initiate a called shot against a kitten. He and all allies within 60 feet gain cha-mod hit points. While this infinite AoE-healing via shooting kittens, takes long due to the definition of per-encounter in concise terms, it’s probably still an oversight not intended and makes potions of healing and similar low-level healing items completely obsolete. Another nitpick I have here would be with the bonuses granted to allies as part of successful gambits – as per the writing of this, they are universally untyped and thus stack with other sources. They probably should be labeled as luck-bonuses (like the one the warlord gets when executing a gambit) or as morale bonuses (which would make more sense to me) – in either case, they would prevent stacking with defense buffs and thus make the whole gambit-system more streamlined. To cut a long ramble short: Glorious class feature that could use some streamlining both in its system and in balance between the ranged and maneuver/melee gambits. Beyond gambits, warlords may, at 2nd level a warlord may maintain a so-called presence as a move action (free action starting at 7th level) – there is no choice here, the progression of presences is linear. Not that you wouldn’t take the second level presence: All allies within 30 feet get the Diehard-feat and + warlord’s cha-mod to saves against death effects, fatigue/exhaustion and poison effects as a morale bonus. Yeah. That means, for a significant amount of effects, the allies get the equivalent (again, presuming a cha 18 warlord) the equivalent of Inspire Heroics, a level 15 bardic performance. More if the cha is higher. Okay, I can see the tighter focus on which saves this is applied to as a mitigating factor. Paladin’s get their SU aura at 3rd level, after all…the aura that nets allies +4 to saves against fear. Within 10 feet. Okay, I won’t compare those two, though presence is Ex and thus not subject to antimagic fields. What does irk me, beyond that would be the warlord’s presence neither requiring line of sight, nor actions to maintain. nor audible or visual components – there is simply no way to negate it. RAW, the presence doesn’t even stop if the warlord drops unconscious or is paralyzed. The ability also fails to specify whether allies already unconscious get to choose whether to benefit from diehard upon the warlord using the presence or upon falling to/below 0 hp. What if an ally is unconscious and the presence is initiated? Does the unconscious character get to choose whether to remain lying or start acting as per the feat or are only conscious allies eligible to receive the bonus? At 5th level, a warlord may use rallying presence to add his cha-mod as a bonus to will-saves of allies versus fear, death or compulsion effects within 30 ft. The overlap with death effects here is a bit strange, as is the fact that this presence, though received later, can actually be interrupted. At 11th level, 2 of the presences can be maintained at the same time and at 15th level, all 3 may be maintained at the same time – bear in mind that these are morale bonuses, though and thus the overlaps between the first two don’t stack. The final presence works – starting at 9th level, the warlord and all nearby allies within 30 feet get character level + cha-mod temporary hp upon the warlord being reduced to 0 hp. at this point, the action to enter the presence is a free action. HOWEVER, as Caedwyr pointed out (yes, I did not catch that one), the reflexive nature of the presence doesn’t work – free action can only be taken upon one’s turn. While the ability uses the word “immediately” in the wording, it does NOT state that receiving the benefits of this presence requires any actions. As written, the presence can be adopted as a free action, but does nothing until its conditions are met. I’m not entirely sure whether the intention was to make this presence available reflexively or not – in dubio pro reo, though, so I’ll assume the ability works as intended. At 3rd level, the Warlord gets the Warleader ability, which translates to receiving a teamwork feat that the warlord, as a standard action (later as a move action and even as a swift action), can share with allies. Alternatively, the warlord can thus benefit from an ally’s teamwork feat – for a total of 3+cha-mod rounds. The ability can be used 1+cha-mod times per day. The warlord also learns to add cha-mod to will-saves at 3rd level and later, when flanking foes, instead of the net +2, warlord and ally flanking a foe get +cha-mod instead of +2 to atk. The warlord also gets a bonus to atk and damage when using a weapon associated with a fighting style when in a stance of said style. At 6th level, warlords learn to execute 2 boosts as a swift action 1/day, +1/day every 6 levels after that, use aid another for allies at range with cha-mod instead of the standard bonus. As a capstone, a warlord may enter two stances simultaneously. After that, we are introduced to the Knowledge (martial) skill to identify maneuvers etc. – nice one, though I hope the final book will offer information on which non-PoW-classes ought to get this as a class skill. Next up would be new feats, 17, to be precise. 6 of these allow non-PoW-classes to wilder in PoW-maneuvers. Of course, expected feats can be found – for example one to learn more maneuvers/stances, one that nets you another gambit, an extra maneuver or a focus on a discipline and its weapons that increases saving DCs and weapon damage. Increased damage for unarmed attacks (significant for non-monks), entering both a style and a martial stance via the same swift action – all possible. Deadly Agility, which allows you to add dex-mod to damage instead of str-mod when using a finesse weapon also deserves mention, as does a feat that allows you to finesse double weapons. Another feat allows you to 1/day regain a maneuver as a free action. There also is essentially an improved version of quick draw and a feat called martial power. This one allows you to incur a -1 penalty to melee atk and CMB-checks to gain 2 temporary hit points. This increases by -1 and +2 temporary hit points when your BAB reaches +3 and every +2 thereafter. The temporary hit points increase by 50% if you wield a shield. You may only use this feat as part of a melee attack or when initiating a maneuver. Temp hit points only last one turn, but the feat doubles as an alternative combat expertise. All in all, solid, since its limit means it does not fail the kitten test. Now let’s get a broad overview of the maneuvers, shall we? If you have the Stalker-pdf, you’ll notice that both the thrashing dragon and solar wind disciplines also are available for the warlord. They also get access to the Golden Lion, Scarlet Throne and Primal Fury disciplines. It should be noted that among these, only the scarlet throne has an equipment restriction – the maneuvers require the initiator to have a shield, buckler or ring of force shield in order to initiate the maneuvers. The Golden lion discipline can be hearkened to the White Raven of the To9S, focusing on buffing allies and charging into battle, allowing the initiator to provide additional flexibility to the respective ally. Additional 5 ft. steps and even move actions for allies resulting from your attacks are distinct possibilities for adherents of the golden lion, as is the initiative moving of allies that at my table, once was rather well-liked. Primal Fury on the other hand, surprisingly often is about destroying the weaponry of foes, coming off as a combination of martial arts and a fighting style reminiscent of savage battle skills, whereas scarlet throne is defensive, but also allows for quite some celerity while moving around the field of battle. So…I actually have good news to report – no insta-death effects. And only a couple of the new maneuvers herein follow the “make an opposed skill-check versus attack roll”-formula. As I’ve mentioned before in various contexts, I consider skill-roll versus atk/AC not optimal. Skills had been easy to buff in 3.X, and they’re more easily buffed in Pathfinder. Don’t believe me? Look for items that net you a significant skill-bonus, note the cost and then find an item that nest the same bonus to atk or AC. Note the price of that item. Compare. Same goes for spells. Yeah, note a slight discrepancy there? Also: Note how many bonuses to said skills granted by magic items are untyped and how many different slots grant those bonuses…much more stacking potential than atk/CMB. I can see the outrage flare up again “You hate on the key concept of To9S 1111eleven!! !” No, I don’t. The basic concept is maneuvers and using them/managing them, not rolling a skill versus something that adheres to completely different scaling-mechanisms, also regarding treasure/WBL/buff-spells. “But this is required to maintain the feel of Path of War!” No, it’s not – take a look at Golden Lion. A grand total of ONE counter uses diplomacy versus attack roll. ONE counter. Other than that, the discipline is completely free of the d20 versus d20-roll/skill-check using relics. Two of the primal fury maneuvers use survival. Unfortunately, scarlet throne relatively heavily relies on sense motive versus x. I’m not getting into the perception/solar wind stuff or thrashing dragon/acrobatics. I particularly object to “roll skill x to negate attack z”-maneuvers. They are essentially better evasions against more common attacks, exceedingly easily buffed through the roof with inexpensive items. So…what does “alongside” mean? I *assume* it means the target moves through two squares adjacent to the target, which would mean that an acrobatics-check against the opponent’s CMD per threatened square, CMD +10 when moving full speed for half speed movement. But is this acrobatics-check in addition to the one the maneuver calls for? If so, why? Why is AC the opposing value, not CMD as per the standard of moving through threatened squares? Does the maneuver’s use of acrobatics incur AoOs or doesn’t it? Also: Why not simply use the CMD/CMD+5-formula standard in acrobatics? Another example for a maneuver that could use a bit (literally – just one word…) of rephrasing would be Primal Fury’s Panthera on the Hunt – per se a cool strike – full round action, charge at +2 (for a total of +4) and it ignores “attacks of opportunity from moving through a threatened square.” I assume this means ONE threatened square, not ALL in the charge. If so, then please specify this and also, please denote whether the initiator can freely choose which square doesn’t provoke the AoO. It should be noted, though, that the VAST MAJORITY of the maneuvers actually work sans such clunky mechanics and do a MUCH BETTER job at utilizing Pathfinder-streamlined rules…at least the new ones. Editing and formatting are good – while I noticed a typo and relic here and there, the vast majority of the pdf is concisely-written and well-edited. Layout adheres to a beautiful 2-column full-color standard, with original pieces of art and stock being mixed. The pdf comes fully bookmarked and with a second, printer-friendly version. Number 1: Per encounter is concisely defined, maintaining in-game logic. Great! Number 2: “Skill vs. X”-rolls obviously aren’t required for PoW – in fact, I am of the certain conviction that the system can perfectly work without them. The decrease in their prominence is a promising factor in favor of the system and its streamlining within established PFRPG-rules. Beyond that, the warlord as a class is just…rewarding as all hell. The capable, cool commander is a neat trope and the warlord is great at fulfilling it…though it does have its rough edges. Even within the increased power-level presumed by PoW, the presence-abilities need to be knocked down a notch. As written, they are extremely powerful when compared to similar effects, both among spells and class features by casters and martials alike, not starting with them requiring no actions to maintain or somatic/visual components. The gambit system is a stroke of brilliance, but as written above, I think that the risk/reward-ratio is off, somewhat negating what the system tries to do – instead of being a tension-inducing choice for the players to actively make, right now it feels more or less like a non-maneuver maneuver, a cooldown that’s actually a defensive maneuver in disguise, if you will. Add to that the fact that the gambits vary more than a bit in strength and we have a couple of strikes against the pdf, even when assuming PoW’s increased power level. Some sort of scaling instead of fixed bonuses would make these components much more useful (and balanced over the levels). But not enough to put this pdf in the box. Overall, we have a massive improvement over the last PoW I looked at and generally, a superior book that shows A LOT of promise. I sincerely hope that some of the rough edges will be filed off prior to finishing the compilation, for this pdf actually renewed my hope in the PoW-series, making me actually want to take a look at the warder very soon. How to rate this, then? As mentioned, I see a couple of rough edges, but the discrepancy between could be/and is-state is much less pronounced. If you don’t mind the skill-check issues, minor wording hick-ups and mentioned power-level of the warlord, then I encourage you to check this out – while not perfect, I do think that fund can be had here. Since the design is much more in line with PFRPG-standards, since this time the class doesn’t fail as hard the kitten test: it still fails it, twice, but is less easy to abuse than usual due to the concise definition of per-encounter. Still, while I do see quite some potential for improvement and streamlining, I still consider this installment of PoW a big step in the right direction. Hence, my final verdict will clock in at 3.5 stars, rounded down to 3 – while I’d love to rate this 4 stars or even higher, the failed kitten-tests, minor ambiguities and rough edges do crop up, even when assuming the increased power-level of PoW. If you didn’t mind the examples given in this review, then check it out – I’m fully aware that not everyone is as critical regarding these things as I am and chances are, you’ll enjoy this. 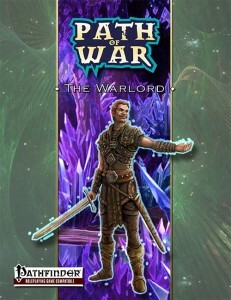 You can get this installment of Path of War here on OBS and here on d20pfsrd.com’s shop! Okay, today I’ll do something different – and take a look at a free d20-supplement. This review has been requested last years and it took forever. Why? Because we’re talking Eclipse, 202 pages, 1 page front cover, 3 pages editorial, 1 page back cover, leaving us with 197 pages, so what do we get? First of all – if you like this pdf, you can buy the print edition or pay for it here – in the fine shareware tradition, I encourage those of you who find this book interesting to do so. So, what is this about? This book is essentially the world’s biggest character class-generator for d20-based systems. Don’t believe me that this system is massive? Well…you could conceivably play children, infant characters even with it. The system introduces CPs – character points, which are used to buy EVERYTHING – skills, feats, Hit Dice – everything can be customized via these points, of which a character receives 24 per level. How does HD work? Essentially, a character gets d4+con-mod for free – bigger HD cost progressively more CP, allowing, provided the DM allows it, up to d20 HD. This is a running theme – the system herein offers maximum flexibility, but never tires of emphasizing that a DM should retain the final say. Skills not on the class-skill-list start as essentially the equivalent of cross-class, becoming class skills at 6 invested CP- with 1 CP equal to 1 rank. Now relevant for PFRPG would be that class skills/cross-class skills are handled more in line with PFRPG than its 3.X predecessor here, but with a catch – the character can also buy very specialized knowledge, i.e. knowing about a specific tome, a ritual etc. – these cost CP as well and provide in-depth information on those topics. Generally, that makes for a very interesting way of handling very specialized information. Saving throws cost 3 CP per point and most specialized abilities clock in at 6 points, but could theoretically also cost more, depending on the ability in question. BAB is increased similarly – via the slightly unfortunately named Warcraft – which is an ability that costs 6 points and nets +1 BAB. Base Caster Level works similarly and have a limit of level+3, surprisingly. This also extends to the BAB, allowing you to potentially go above the level in question. Spellcasting per level is purchased in a similar manner, with fixed costs. And yes, these include the 3.X psionic classes. Now beyond tables upon tables, there are roleplaying modifications to CP earned – depending on the campaign you run, you could prescribe X bonus CP to be used in a specific way. On a character’s side, players may enter obligations, restrictions and the like to increase or decrease the CP gained each level. Disadvantages, much like flaws, are presented here as well. Action points are part of the deal as well, mind you, and represent just another buy-in option of specialized abilities available for CP. Want to have a dominion, an equippage? Doable. Want to get completely rid of any class-distinctions? There you go. Point-buy casting via mana (which could be used to generate power points or spell-levels?) – in here. Return from death, villain-style? Possible. Shapeshifting? Sacrificing treasure in favor of mystic powers? Oversized combat maneuvers and weapons? Yep. Deal ability damage with attacks? Yup. Block attacks via fixed ref-DCs? Yep. This would also be one example (of many), where a particular rules-solution is inelegant and wouldn’t see use at my table – ever – non-scaling, competing throws? Not my cup of coffee and similarly, not particularly balanced design. Metamagic, lacing of spells – the same exceedingly modular approach applies. The same goes for handling ECL+X races and race-generation – including size modifications down to cellular levels. Some existing templates are also broken down by CP-cost and channeling energy, monster abilities etc. are covered in their own chapter, allowing for quite an array of alternative options for channeling. Now, I’ve noted the option to have a dominion – this one nets Dominion Points, which allow further options for customization and achieve with the political might. Card-themed casting, godfire, occult abilities, martial styles, ritual magic, witchcraft – all there. Have I mentioned spells from the levels 10 -23? Yes, in case these meteor showers just don’t cut it anymore. World generation and motivations for characters would also be found herein – the system supports anything from anime-style campaigns to gritty ones and even pokémon-style gameplay. Sample character class (and PrC)-break-downs, handling different power-levels – and even checklists to make sure your now class-less character has proper motivations etc. – all of this is covered and infinitely more. Editing and formatting are very good, I didn’t notice significant glitches. Layout adheres to an easy to read 2-column b/w-standard with fitting stock art. The pdf comes extensively bookmarked with nested bookmarks. Paul Melroy and Patrick Bryant have created an interesting book for 3.X – one that can be made compatible with PFRPG, by the way, if you’re willing to do some work. Thanks to the comments that pointed this out! 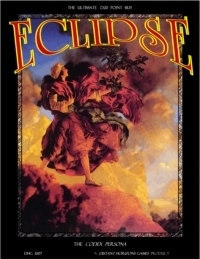 Over all, Eclipse provides a superbly modular framework, essentially breaking down d20-based gaming to its base constituents in the endeavor to allow maximum flexibility. And generally, the authors have done an exceedingly fine job with it. The major problems I found were system-inherent – maximum flexibility allows for maximum options and hence also maximum fluctuation between PC power levels. While generally, the system tries hard to maintain a sense of balance, overall, eclipse is less about standard number-crunching and more about narrative-driven playing environments. “But why not go diceless or old-school in that case?” Well, perhaps you like the framework, perhaps you want some choices…or perhaps you just want general ideas on what *could* make for compelling, non-standardized options. Now what makes Eclipse different, concise within the d20-framework? It is a system that breaks just about EVERYTHING down to CP – everything. Attacks, sneak attack, psionics, mana, runes, being a lord – everything. This is the system of ultimate possibilities and this vast array of options, some of which you probably won’t even think you desired, makes this book such a mile-stone. For a mile-stone it is. This book, true to its name, eclipses by far other race/class generators I’ve seen and over all, remains MUCH MORE balanced than e.g. the race generation in Paizo’s ARG or just about all similar generators I’ve read so far. 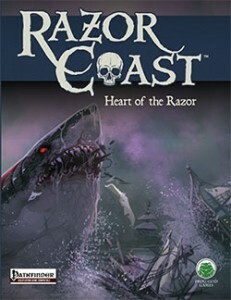 I still wouldn’t unanimously recommend it as a base for a campaign if your players enjoy the power-gaming/number-crunching game, unless you’re willing to do quite a lot of checking, also because some of the individual rules simply aren’t balanced (or not scaling) or rather clunky. While in no way true for the majority of content herein, I managed to break a couple of sample concepts – which is acknowledged and in line with the more narrative-driven focus of this book. So what is the grand achievement in this book? This is essentially the talented concept, taken a significant step further. Now while it’s theoretically compatible with Pathfinder, I’d contest that claim somewhat by pointing out the changed ability-suites, power-levels, skill-emphasis etc. – it *IS* compatible, yes, but it also imho requires A LOT of work and quite a few design-decisions not all DMs will be capable of making to fully break down PFRPG in CP. While the conversion on the blog are extensive, they necessarily can’t cover the entirety of material out there, so be aware of the necessity to do some conversion. This is modular…in the highest sense. And it also is one of those books that get the juices flowing. Even if you don’t use this book, there are so many ideas for classes, archetypes, feats, magic systems etc. in here that any designer who hit a writer’s block regarding such concepts can flip open this book and get inspired – not necessarily by the individual mechanics, but by their proximity, their concepts, their general idea and general CP-cost – the same holding true for balancing more esoteric means and CP as a means of specialized knowledge is a stroke of genius idea that could easily be integrated into a given game, even without the rest of the rules – this is crunch/idea-cherry-picking at its finest – and it’s free to check out. If you like what you’re reading, support these guys. All in all, this may not be perfect, but the book is an inspiring read nonetheless and should be checked out by anyone intrigued, even slightly, in the idea of a truly modular character-generator that gets rid of all the class-borders. As such, I will rate the inspiration, what can be drawn from this, at 5 stars. You should be aware, though, that the experience provided here is radically different from standard d20 and requires a crunch-savvy DM as well as a lot of dialogue between DM and player and should not be considered a toolkit for anyone. Personally, some of the rules-components rub me the wrong way, I’m a bit too balance-obsessed and too time-starved to break down NPCs etc. in CP, but at the same time loved the inspirations this book provided. You can get this great tome here on OBS for FREE! If you enjoyed it, here you can get the paid-for-version! This installment of the Dungeon Dressing-series is 11 pages long, 1 page front cover, 1 page advertisement, 1 page editorial/ToC, 1 page SRD and 1 page back cover, leaving us with 6 pages of content, so let’s take a look! As often with the Dungeon Dressing-series, we kick off with a DM’s primer on construction – this time offering no less than 5 different quality modifications to apply to ceilings as well as 6 base materials. Beyond that, rafters, beams and handholds as well as climb DC and a short primer on ceiling style vocabulary kick off this installment with a bang of customization options even before 42 entries of a d%-table introduce us to a wide array of different appearances of ceilings – from ceilings created to look like scrolled parchments to strange apertures emitting miniature waterfalls, the entries contain from regular to the wildly wonderful quite an array of excellent and evocative appearances. Next up would be a massive 100-entry table (though no. 100 is the roll-twice-entry) that contains walls studded with faerie fire, knowledge (dungeoneering) DCs to realize the presence of suspended ceilings, embedded ammunition, chains and rings and even dead people with doom-laden messages. Over all, a versatile, cool table. The final page contains 3 new traps, including different CR-variants with additional effects. The base ones clock in at CR 2, 8 and 8, with the variants covering 4, 5, 6 and 12. The traps per se once again partially span multiple rounds and come with crushing blocks, cave-ins and collapsing ceilings. Per se, nice. Editing and formatting are top-notch, I didn’t notice any glitches. Layout adheres to RSP’s 2-column b/w-standard and the art is fitting stock that takes up about 2/3 of a page. The pdf comes in two versions, with one optimized for screen use and one for the printer. The pdf comes fully bookmarked for your convenience. 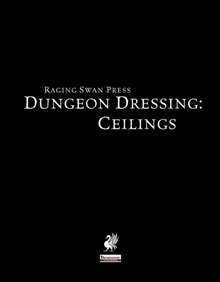 Aaron Bailey covers ceilings in this installment of Dungeon Dressing – and weaves a surprisingly awesome yarn with quite an array of cool options, superbly useful first page (DMs – archive that and never leave home without it!) and imaginative tables. All in all, an exceedingly great installment on a topic that is many things, but probably not that easy to write for. So all superb? Not exactly – the traps, while not perfect, are cool and useful, but also not completely in line with the awesome start of the pdf. Still, that is me complaining at the highest level – this is still a 5 star-file, though one slightly short of my seal of approval. This installment of Legendary Games’ Mythic Monsters-series is 32 pages long, 1 page front cover, 2 pages editorial, 1 page ToC, 1 page SRD, 2 pages of introduction, 2 pages of advertisement and 1 page inside back cover, 1 page back cover, leaving us with 20 pages of raw content, so what do we exactly get here? Since mounts aren’t just monsters, we kick off the pdf with some general pieces of information regarding mythic mounts (and animal companions), noting that some of the mounts herein come with integrated advanced creature templates as alternatives to provide sturdier options. Cool! Advice on further advancing mounts via templates, training them and 2 new mythic feats help here as well – one upgrading a companion’s ability to its mythic equivalent, one making the training of mythic creatures easier. The Trick Rider and Mythic Rider champion/guardian path abilities are also included, as is the companion mythic ability for the 6th tier guardian. Whereas the former you’ll know from the respective mythic minis, the latter makes a companion mythic/adds a mythic ability. This bonus content is okay, but a) not the focus of this pdf and b) not yet something that got me excited. Solid in craftsmanship, yes, but not yet legendary. Mythic Dragon Horses (CR 11/MR 4) can ride the lightning and generally makes for a truly fearsome flying beast to carry the most powerful of heroes into battle. The Mythic Giant Eagle at CR 4/MR1 gets an ability that more creatures should have – when hitting with both claws, they may drag opponents along: Either offensively or defensively. Nice swooping action! The CR 8/MR 3 version is an even better aerial interceptor that gets bonuses when readying against adversaries. Mythic elephants clock in at CR 9/MR 3 and may pass through natural undergrowth, throw adversaries with the trunk and even toss adversaries with their charges – once again, this is one of the beasts that is closer to what the base creature ought to be able to do – the trunk and charge-tossing will be added asap to all non-mythic elephants in my campaign. Mythic hippocampi clock in at CR 3/MR 1 and allow the riders to breathe water or even act as if under freedom of movement while underwater. They may also create waves to topple/bull rush foes. Neat! The Mythic Hippogriff comes sans a non-advanced version and may emit a stunning shriek and catch falling allies mid-air via mythic power as immediate actions. The CR 2/MR 1 Mythic light horse has superb speed and when running, benefits from an array of cool defensive abilities. Again, a set of abilities I will apply to some (though not all) supernatural/legendary horses. The Cr 6/MR 2 mythic advanced heavy warhorse is more geared towards combat and not only is not particularly impeded by armor, it also gets essentially a counter-flanking kick and diehard/mythic power fast healing when knocked below 0 hp. The CR 6/MR 2 Mythic Nightmare can exhale soporific smoke and entice innocents towards an enchanting ride…that fascinates and kills them. NASTY! The CR 14/MR 5 Mythic Nightmare Cauchemar is this beast’s big bad brother – flaming hooves, hellfire, powerful trample – a steed worthy of the champions of darkness. Perhaps it’s my Warhammer background, but I was constantly thinking “This could be Archaon’s steed” while reading this one. We also get two pegasi, one at CR 4/MR 1 and one at CR 9/MR 3. These flying steeds are particularly adept at avoiding titanic adversaries and they also can emit a reflexive whinny after succeeding a save versus freedom-restricting effects. The advanced version also gains wing buffet attacks and the option to use mythic power to smite foes larger than the steed. Cool. At CR2/MR 1 the mythic advanced pony has one of the coolest abilities in this book -inexplicable survival. For one mythic power, these trusty mounts can survive EVERYTHING. Yes, even rocks fall, all die. And no, abusing this ability will not end well for the rider… At CR 15/MR 5, the mythic advanced roc makes for a truly majestic beast -with fortification, the option to drop huge things on foes, the option to create superbly strong winds, these titanic birds will make for a superb entrance. At Cr 13/MR 5, I was exceedingly looking forward to the Mythic Sleipnir – and boy, does it not disappoint -summoning valkyries as the choosers of the fallen, and creating giant-damaging rainbow-bridges breathe the spirit of myths. Glorious and so much closer to the myths than the rather disappointing non-mythic standard sleipnir! What can step up to this awesomeness? What about riding a CR 10/MR 4 Mythic Triceratops that is a true juggernaut of charging destruction? The pdf also includes a list of the mounts by CR. Editing and formatting are top-notch, I didn’t notice any significant glitches. Layout adheres to a 2.column full-color standard and the pdf comes with several nice artworks. The pdf comes without bookmarks, which is somewhat of a comfort detriment, but it is hyperlinked with unobtrusive hyperlinks -the good kind, that only is applied where it makes sense. 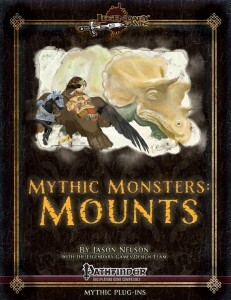 Jason Nelson delivers a glorious array of mythic mounts, worthy, one and all, to carry the best of heroes and worst of villains into battle, adding arrays upon arrays of superb signature abilities to the base-creatures, several of them actually fixing the base creatures not being too closely in line with what the creature ought to be able to do. Usually, I’d consider depriving this pdf of my seal of approval for the bookmark lack, but the pdf is simply too good – the mounts are universally awesome and not one felt lackluster or boring – final rating: 5 stars + seal of approval. You can get these mounts fit for legendary heroes (and villains!) here on OBS and here on d20pfsrd.com’s shop! Oh, and if you’ve somehow, anyhow, missed it – Legendary Games is currently running a kickstarter for exquisite, massive Mythic-books – and you can vote on which creatures from this series make their into the epic hardcover! If you’re interested in Mythic Adventures, here’s their kickstarter-page! Another thing, if I may: Rite Publishing is currently holding a funded kickstarter for a print compilation of aforementioned Faces of the Tarnished Souk-series. This series is the benchmark regarding NPC-books for Pathfinder, both in crunch complexity and writing quality – for the former, Justin Sluder, for the latter, Matt Banach, the author of this little pdf. If you haven’t seen the KS, check it out here! So this time we’ll once again do something completely different – let’s take a look at Rite Publishing’s Spell Card deck for the Magus! First of all – from where are these drawn? Well, know the magical magnum opus, the spellbook to end all spellbooks, 1001 spells? If not, then… I don’t know. It’s a superb tome that actually contains 1010 spells, but oh well. Back to the deck – here we get the magus spells from that book, conveniently printed on nice US-Poker-sized cards. In the upper right corner, we get the respective spell’s level. The upper third of the card contains the spell’s header, whereas the lower 2/3rds contain the spell’s text. The cards are also color-coded for your convenience – transmutation-cards get a green background, divinations are blue, evocations are orange, conjurations yellow, enchantments purple, abjurations brown, illusions grey and, of course, necromancy spells are black. One basic issue of the spell card formula would be the wildly diverging length of spell-texts – o how do these cards handle it? Well, very few of them feature part of the text on the backside and minor downscaling in font size also help most of the texts fit. Generally, the respective spell-texts work well i the context of the cards, though some cards thus look a bit cluttered. It should be noted that “tables” like the one x-ray vision has for different materials and thickness to see through generally works well, though the respective words could be slightly better aligned below each other. Editing and formatting of these cards is great, they can easily be used and the color-coding + spell-levels make using them rather fast in game. If you’re looking for spell-cards, these do a damn good job and my dead tree version did show that they work fast. That being said, some (less than 10 of them) seem to have not been 100% perfectly centered and feel very slightly slanted, but that’s an issue of the printer, not the publisher. One slight pity would be that some cards had to include text on the back – if you as a DM want to use a kind of “draw-random-spell-lottery”, these might somewhat be problematic. Then again, these constitute less than 5% of the total cards. The spells are awesome, the cards simple, clear in layout and functional and the deck overall is nice, if perhaps not the absolutely perfect design. Personally, I would have preferred slightly more pronounced, stronger colors, but all in all, that’s not enough to rate this down. These cards can be a nice addition to your game if you like spellcards. If you don’t these won’t convert you, though players looking for a handy way to get all these magus-spells in one fell swoop, should definitely get these. My final rating will clock in at 4.5 stars, rounded down to 4 for the purpose of this platform. 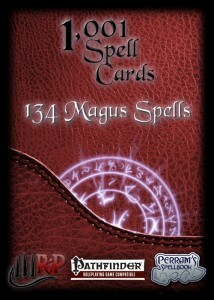 You can get these handy spells/spell cards here on OBS and here on d20pfsrd.com’s shop! The sixth installment of Purple Duck Games superb Dungeon-module-series clocks in at 46 pages, 1 page front cover, 1 page editorial, 2 pages of SRD, leaving us with 42 pages of content, so let’s take a look, shall we? 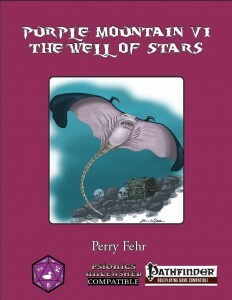 As always, this module can be run as stand-alone or as a continuation from the continuously SUPERB last levels of Purple Mountain – also providing information for including this in PDG’s Porphyra-setting. The pdf kicks off with a conflict – the PCs may endeavor to save some undines from derro aggressors, which include kineticists. Yes, this module is fully compatible with and makes use of Ultimate Psionics. Awesome! The undine princess Glubela then tells the PCs about being on a mission to the eponymous well of stars to take a mallet of the titans to a young kraken to bring down the cavern on the beast’s head. Here is where the module turns uncommon – via the new helms of lesser underwater action, the PCs will have 72 hours beneath the waves before the helms deactivate – so yes, there is a timer on this beast of a module. Braving psionic crysmals and diving into the depths of the well, we are once again shown how dungeons (and the underworld per se) ought to be: 3-dimensional. The palpable sense of doom when going underwater is fun to watch on the faces of just about any player…at least to me. Suffused beneath the waves lies a labyrinth of quartz and geode-littered wholly submerged tunnels sporting unique creatures like gemstone kapoacinths concealed as crystalline cysts. In the flooded tunnels, aquatic dark creepers, stalkers and slayers loom and the PCs will have to traverse a watery vortex, brave kelpies and crab swarms as well as crystalline ID oozes, amphibious, potion-brewing cloakers (and twisted halfbreeds – creepy!) – speaking of creepy: Of course the underworld tunnels also contains an aboleth mastermind – who also happens to be the master of said Undine princess. The pdf also comes with an extensive DM-cheat-sheet for underwater adventuring and also battle strategies for the respective characters as well as 5 magic items. Finally, we even get lists of XP by room, creature and a list of treasure/value/room-breakdown of the module, which also includes some solid trouble-shooting advice regarding aforementioned mallet. Editing and formatting are top-notch, I didn’t notice any significant glitches. The pdf comes fully bookmarked with nested bookmarks for your convenience and also provides player-friendly (and MD-keyed) high-res .jpg-versions of the full color maps. The full color artwork ranges from cool to okay and the printer-friendly 2-column layout makes printing rather easy. Purple Mountain is one of the most underrated series currently produced for Pathfinder by 3pps and I stand by that. Ever since the series has truly hit its stride with level 3, each and every level has provided joy galore to me – but this also means that this module had a tough legacy to live up to. 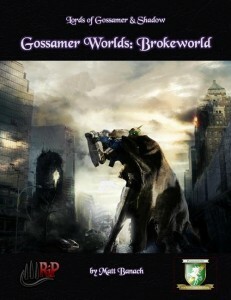 I am happy to say it does live up to it – author Perry Fehr has crafted a thoroughly distinct underwater module with weird societies and strange customs. He uses his biggest strengths as an author to create believable, yet fantastic cultures and marries them with some decidedly high-concept ideas that make what otherwise would be a *relatively* straight-forward premise a thoroughly enjoyable romp. There aren’t many good aquatic modules out there and this one will not only cater to fans of Purple Mountain, but also provide fodder for adventure-starved psionics-advocates. It also would, with some minor work (mostly depth tolerance/buoyancy) make for a great module to put into the regions of Cerulean Sea’s Azure Abyss. By the way: Waves of Thought, the psionic supplement for Cerulean Seas, would make for a superb collection of material with which an enterprising DM could further enhance a great module into an unforgettable one. So yeah, in case you haven’t noticed – I really enjoyed this sojourn through maddening depths, crystal-laced tunnels and habitations of things from beneath the waves. My final verdict will clock in at 5 stars + seal of approval. You can get this neat underwater module here on OBS and here on d20pfsrd.com’s shop! This installment of the Village Backdrop-series is 10 pages long, 1 page front cover, 1 page advertisement, 1 page editorial,/ToC, 1 page SRD and 1 page back cover, leaving us with 5 pages of content, so let’s visit Chasm, shall we? Like all village backdrops, we get full settlement statblocks, short primers of local folk, demographics, a market place sections of items for sale, information on villager customs and clothing, sample rumors and village lore. So what is Chasm all about? One look at the lavish b/w-map makes it immediately clear – we have a case of nomen est omen here – formerly known as Callowright, the village has been hit by a terribly disaster, with the eponymous chasm opening mid-village, swallowing buildings and people, sending them crashing down into the dark recesses of the earth. Now, years later, a twisted web of ladders, latticework and rope pulleys connect the halves of the village, with the looming threat of deadly duergar skulking in the darkness of the ravine. Law and order, strange events and a mixture of oppression and an all-too-present catastrophe loom above the village, all while rare materials like mithril and adamantine draw fortune seekers like your adventurers into a setting, that will prove rather uncommon – for the duergar have entered a mutually beneficial alliance with the surface-dwellers, sending your PCs into an oscillating loop between pragmatism and idealism in a place that aptly visualizes not only the incision of catastrophe, but also the cultural divide between the two races. Included in the package is a statblock for a duergar mine guard and, as always, you can get player-friendly versions of the map on Ragingswan.com. Editing and formatting are top-notch, I didn’t notice any glitches. Layout adheres to RSP’s printer-friendly, elegant two-column standard and the pdf comes in two versions, one optimized for the printer and one for screen-use. The map is great. The pdfs also come with extensive bookmarks. Christian Alipounarian has crafted a glorious village full of overt and covert symbolism and adventuring potential – beyond its top-notch adventuring potential, Chasm displays an unobtrusive, concise symbolism that adds an additional gravitas to the village, one that makes it resonate even beyond its unusual construction. Were I to complain about one thing, it would be that I would have loved a 3d/side-view of the village/inside of the ravine. Note, however, that at this price-point, you’ll be hard-pressed to find a more rewarding village to visit. Even if your players don’t get the symbolism, their subconscious will – and when handled by a capable DM, this will resound triumphantly within both PCs and players. A superb offering and, alongside Retribution, one of the few modules, where subtext unobtrusively underlines the point of the supplement, proving that intellectual concepts don’t have to be shoved down the throat of one’s audience. A joy to read – 5 stars + seal of approval. You can get this awesome village here on OBS and here on d20pfsrd.com’s shop. 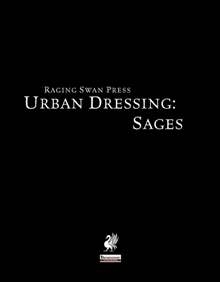 This installment of the Urban Dressing-series is 11 pages long, 1 page front cover, 1 page advertisement, 1 page editorial/ToC, 1 page SRD and 1 page back cover, leaving us with 6 pages of content, so let’s take a look, shall we? The supplement wastes no time (or space) and provides us first a list of 50 entries that cover the general look of a sage’s domain: Small shrines, winking fiancés, strangely old back doors, trees decorated with ornaments containing scribblings of an ancient language – a solid table, though one lacking in something truly weird. The interior of the respective places are also covered: From neatly organized scrolls, to steins and desks bolted to the floor, we have quite an array of different dressings to lend an air of mystique alongside a sense of normalcy to the respective locales. A d20 table of whispers and rumors further enhances your options regarding the sage in question – from being actually of another race to bitter disputes with rival sages or being a poet operating under a nom de plume – some solid ideas here. There also are 20 rather complex hooks and complications regarding sages: What if the local sage ahs recently passed away and now agents from all around the world are on the hunt for said sages’ maps and notes – they might lead to long-forgotten treasures/nations/sites. Extremely awesome, since it takes the peculiarity of the installment into account, would be a short d6-table to check whether a given sage is actually available – perhaps the guy is not waiting for PCs to come around and earn a living! Two thumbs up – its small tables like this dealing with the unique topic that make dressing-files so much more useful! We conclude this supplement with 10 short fluff-only entries (including hooks, mannerisms etc.) of sample sages, partially experts, partially PC-classes, all versatile. Nice to see here is that the evil sages among them actually are not gibbering psychos, but people with severe character flaws – two thumbs up for that! All too often, CE in a statblock means totally bonkers, while here, the character in question is actually fully functional. Editing and formatting are top-notch, I didn’t notice any glitches. Layout adheres to Raging Swan Press’ elegant b/w-two-column standard and the pdf comes fully bookmarked for your convenience and in two versions – one optimized for screen-use and one to be printed out. The thematically-fitting b/w-artworks fit the theme. Brian Fitzpatrick’s take on Sages at first didn’t wow me – the tables depicting the outside of the respective shops are nice, yes, but not too exciting. Then, the pdf turned things up a notch and actually gets rather cool. Now I’m biased here: Scholars are vain and eccentric and have esoteric interests – so where are the ticks, the obsession/specialty of the respective sages? Where is the table that tells you that a sage is particularly interested in the nature-magic-channeling capabilities of the honeybee? Or perhaps the scholar is particularly invested in the discussion of whether global imprisonment-spells cast on all evildoers would end the threat of the abyss and the moral implications of such actions? Perhaps s/he is particularly obsessed with a certain poet/genre/occurrence? Perhaps he only writes with giant eagle quills? So much potential, none realized – a table of actual preferred pursuits for the sages would have made this so much more awesome and could also be used to indirectly characterize the sage in combination with the exterior/interior tables – as written, the titular sages are rather scarce in the pdf. This dressing-pdf works superb in crafting the surrounding of the sage, but the personal touch the pdf would require for indirect characterization is curiously absent. Which is a pity, for this pdf is very close to being actually superb in what it tries to do and misses the mark by a margin. In the end, this dressing is anything but bad, but also fails to be truly excellent and feels a bit lacking. Hence, my final verdict will clock in at a final verdict of 3.5 stars, rounded down to 3 for the purpose of this platform.